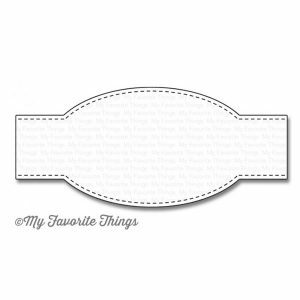 Die-namics Sentiment Label Strip by My Favorite Things. 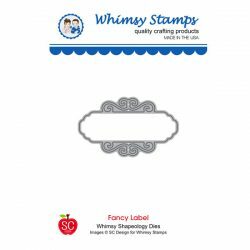 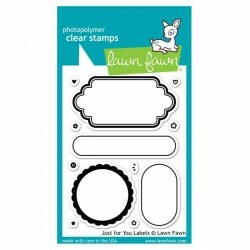 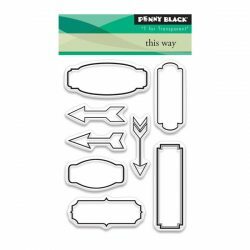 This generously sized label is ideal for showcasing a bold sentiment or housing images or a small scene. 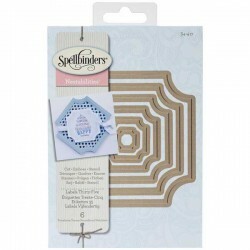 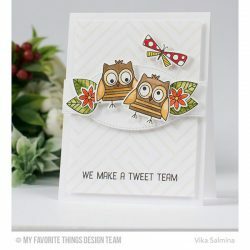 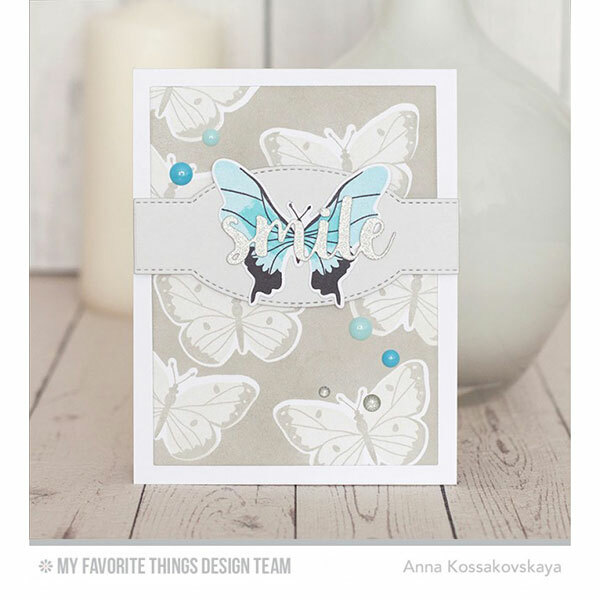 It’s sized to span the width of an A2 card and features a stitched detail along both long edges. 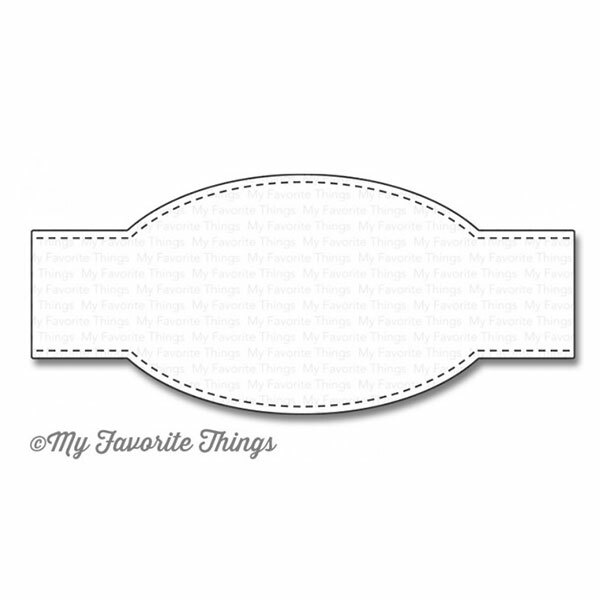 The Sentiment Label Strip Die-namics measures.4 ¼” x 1 7/8”.